NEW YORK (CNS) — A peepshow of human degradation, the ensemble drama “The Counselor” (Fox) alternates between glamorizing evil and parading its most torturous results — both physical and emotional — for shock value. Working from the debut script of novelist-turned-screenwriter Cormac McCarthy, director Ridley Scott adds disdain for the Catholic Church and a debased view of human sexuality to a nihilist moral vision — with repellent results. Ostensibly, this is meant to be a cautionary tale about essentially good people whose personality flaws lead them to dabble in darkness. 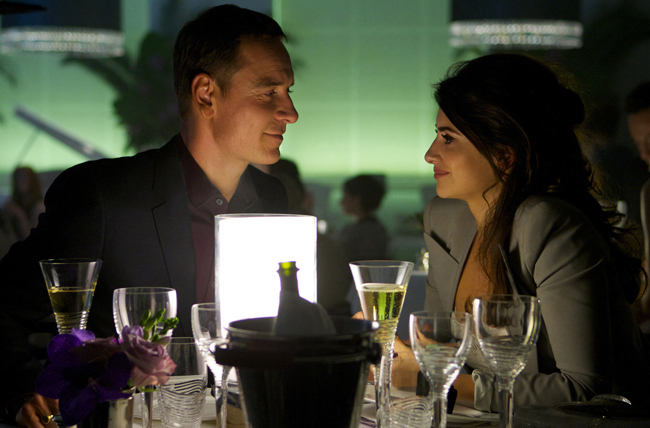 The example at hand: the otherwise unnamed character of the title (Michael Fassbender), a previously legitimate lawyer out to make a quick jackpot through his involvement in a cross-border drug deal. This new enterprise entangles our eponymous barrister with shady nightclub owner Reiner (Javier Bardem), Reiner’s sociopathic girlfriend, Malkina (Cameron Diaz), and Westray (Brad Pitt), the streetwise middleman in the transaction. At the other extreme of the Counselor’s compartmentalized world stands the love of his life, Laura (Penelope Cruz). A practicing, though far from ideal, Catholic, Laura represents the film’s sole embodiment of innocence. When the hoped-for trade unexpectedly begins to unravel, however, the Mexican drug lords on the other side of the sale seek revenge, threatening doom not only for our errant attorney but for Laura as well. From the extended bedroom encounter that opens the picture, to a scene in which Malkina goes to confession as a practical joke and on through various gory means of execution — one so creative it requires explanation in the dialogue — viewers run a gauntlet of unsettling material. The film contains gruesome bloody violence, sacrilegious humor and ridicule of Catholicism, strong sexual content, including graphic premarital sexual activity and masturbation, numerous uses of profanity and frequent rough and crude language. The Catholic News Service classification is O — morally offensive. The Motion Picture Association of America rating is R — restricted. Under 17 requires accompanying parent or adult guardian.